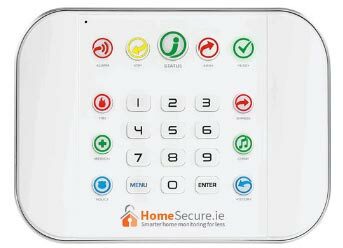 HomeSecure secure over 14,000 homes and small business across Ireland. We use a state of the art alarm system that comes with a Stay and Away mode, so you’re secure whether you’re in or out of the house. If you are home, you can select the Stay mode and the alarm system will enable your perimeter sensors (any doors and windows you have a sensor on), but your internal sensors will be disabled, so your family and pets can walk around in peace without setting off the alarm. When the house is empty, you can set the alarm system to an ‘Away’ mode, which switches on all your internal and perimeter sensors. 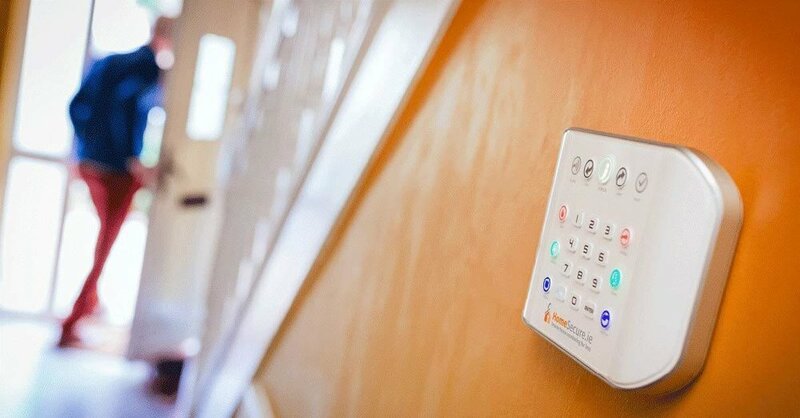 Our HomeSecure engineer will always fit the sensors and the panel to best suit your family’s needs. Our alarm system comes with the highest possible security rating in Europe and when you sign up to HomeSecure we’ll provide you with an EQA cert which you can provide to your insurance company. Installation for the Zero Wire alarm system takes just 90 minutes to complete. HomeSecure have nationwide coverage with almost 14,000 customer across Ireland. The alarm system works runs off a GSM card is back up onot your WiFi. The alarm system also comes with Garda, Ambulance and Fire Brigade panic buttons. In an emergency, you can't always find your phone, but you'll know where your alarm panel is. Press and hold the panic buttons for three seconds to activate the alarm panel.